Local Elections – Call your Candidates! Here’s what we’ve written to the leaders of all the parties in Richmond’s up-coming elections. Can you contact your candidate and ask them? Use this link! And if you’d like to know more about what a great Liveable Neighbourhood is, LCC & Living Streets have put these excellent documents together. London Cycling Campaign and Living Streets are urging you to support better walking and cycling in our borough. The borough already has some of the best stats for ‘people who at least cycle occasionally’ in the whole of London, as well as a good modal share of cycling (at 7%), compared to many outer London boroughs. You may also have seen the recent data from TfL showing just how many journeys are walkable or cyclable, based on their distance. For too long, we’ve focused the borough’s energies on making it easier to drive a car – we think it’s about time the focus became ‘easier to walk and cycle’. The ‘Liveable Neighbourhood’ ask from LCC and Living Streets is that we commit to a bid which does this. It’s all TfL money, so it’s not even something we need to pay for – but the only way we get the money is by showing real commitment. To our thinking, almost as important as the fact that we don’t need to find this money ourselves in these tough times, is the strong emphasis from TfL that public consultation is crucial. The TfL Liveable Neighbourhoods plans include a specific allocation for public engagement, and for making the case for walking and cycling. 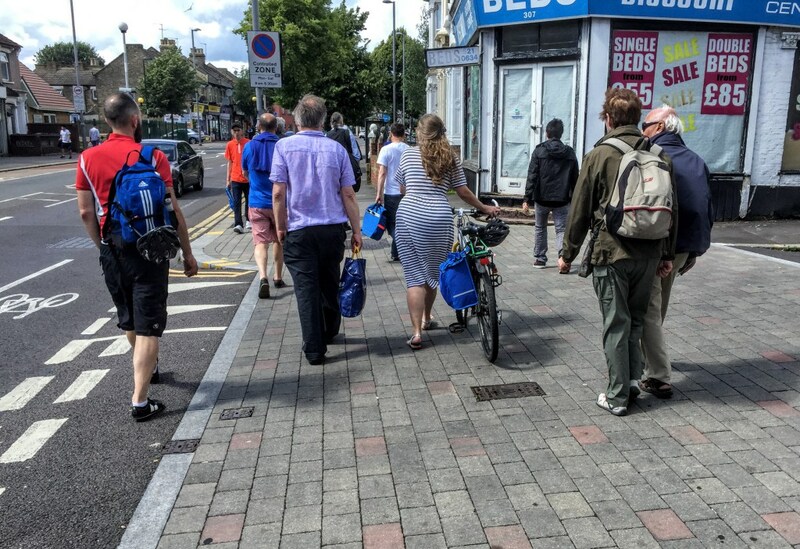 But as well as the Liveable Neighbourhoods bid, we’re asking you, as prospective councillors, to speak out about all the benefits of walking and cycling. We know from more than five years of consultations in this borough and across London that projects like this struggle badly if local councillors and officials don’t understand or don’t support measures for walking and cycling. 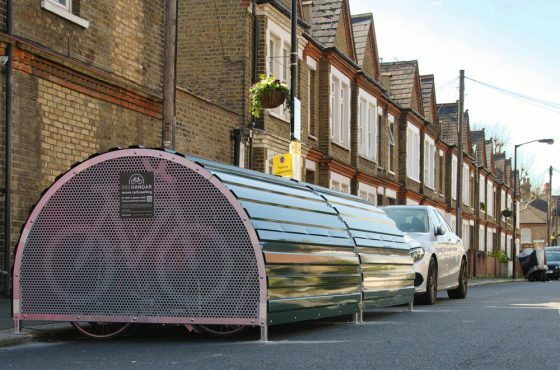 Great cycling facilities enable everyone to cycle, so please take the time to look at the documents LCC and LN have prepared, and think about how you can help make our borough a better place for everyone. 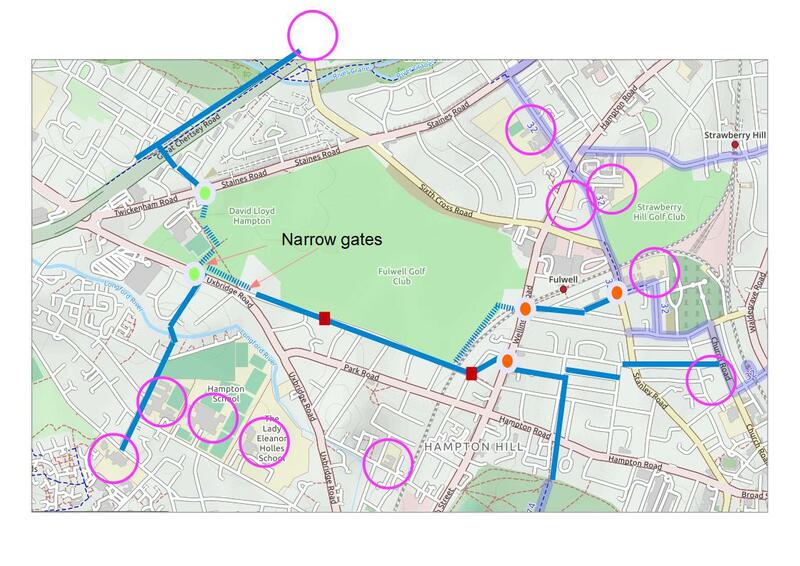 Richmond Cycling Campaign generally supports the changes proposed in this consultation, but we have specific concerns which we think need to be addressed in order to maximise the appeal of this route to people who cycle now, or who are considering it. At 2.5m this is probably a minimum width to be shared between walking and cycling, and we predict that on busy days there will be conflict between the two modes because of the width. The entrance to the park is also a potential area for conflict, as the design seems to suggest cycling joins the main road at this point. 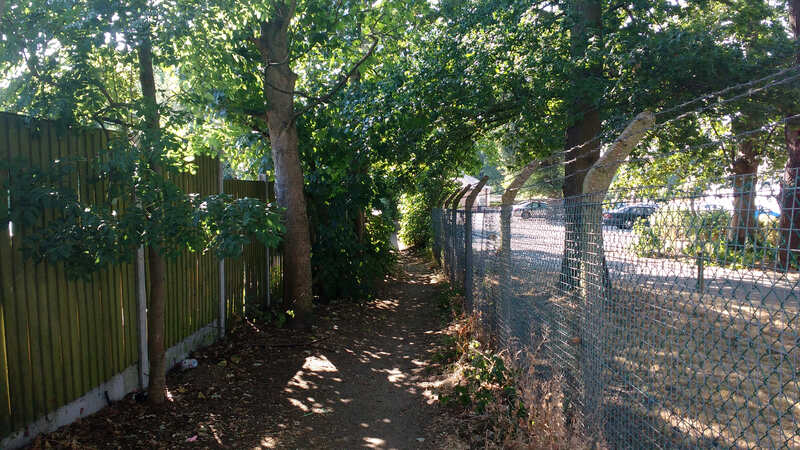 The priority for this path over the driveways and crossings on the route is a very welcome change for the borough, and should benefit both walking and cycling. At the traffic lights at the end of Ham Gate Avenue, we feel this is a poor experience for people cycling and walking. The design offers low capacity for these movements. 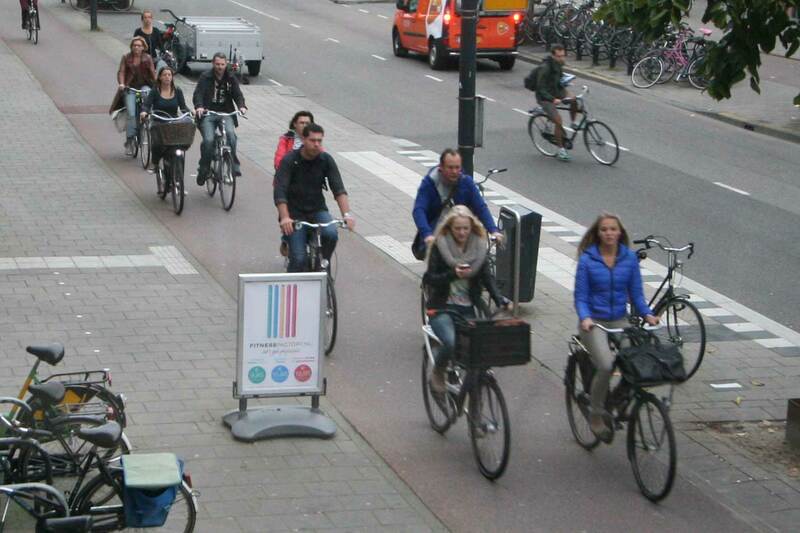 It also requires someone cycling from the park to make two movements, whereas a driver needs only to make one. The design to then join Ham Common provides a very real likelihood that waiting traffic will block this junction, making it even harder to cross the road. 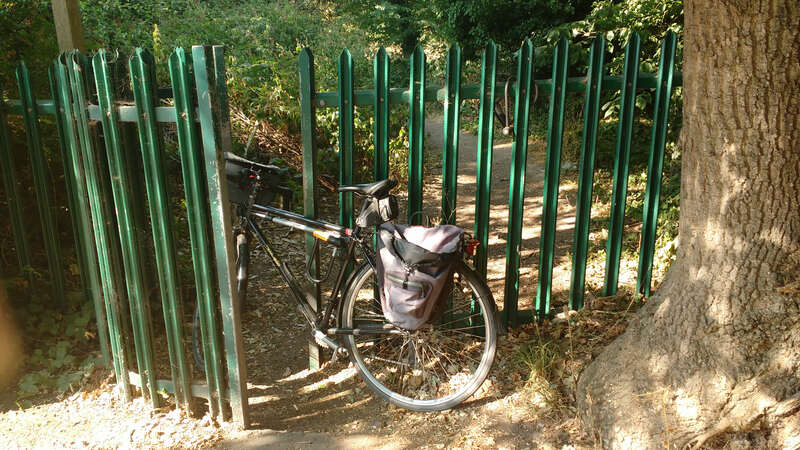 Fundamentally, if Ham Common is good enough to cycle on, then so is Ham Gate Avenue. If Ham Gate Avenue isn’t appropriate for cycling, then neither is Ham Common. 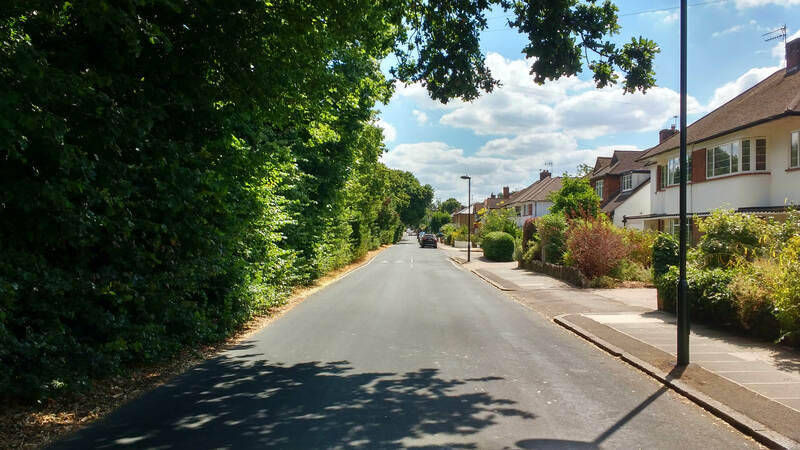 Even if we accepted the proposed movement, the designed turn from Ham Common onto the cycle route has extremely low capacity if – as is likely – someone arrives with a family, a cargo bike, or any other larger cycle. Again, conflict is being designed in if this route is used by the volumes we are hoping for. Once on Ham Common, we welcome the change in design at Martingales Close, which provides a significantly better pedestrian experience. 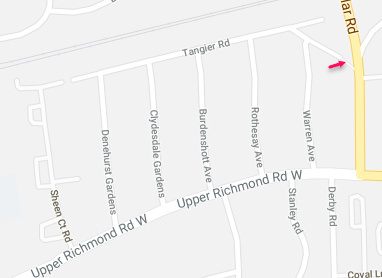 We are concerned that there are no parking changes on this road, however, because the volume of traffic here and the parking on alternate sides makes for a needlessly complex cycling environment which will especially deter less experienced and younger cyclists. Risks around traffic volume persist on Lock Road. 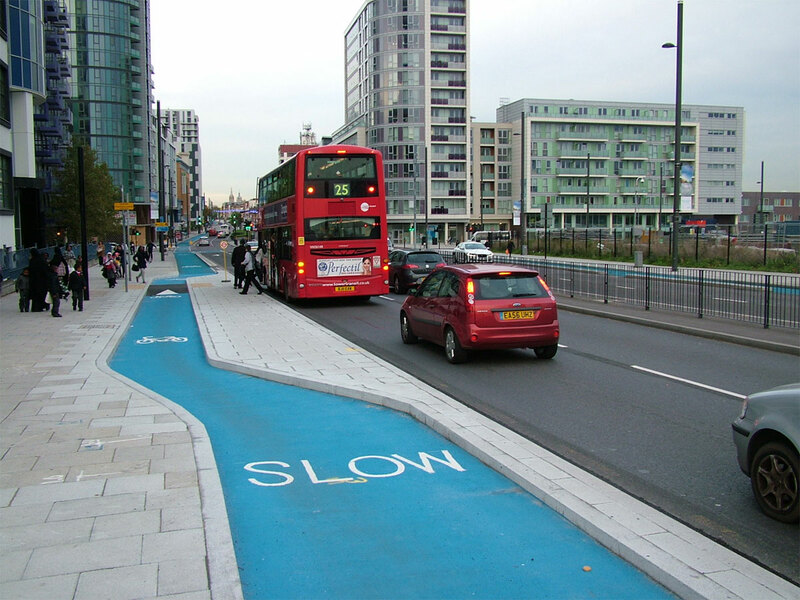 Although potentially suitable by volume and designed speed (20mph), this has some features – such as the speed cushions and build outs – which have a likelihood of causing conflict: we’d like to see some more analysis of how to make sure cycling gets clear priority in this area. We applaud the proposed changes to the Broughton Avenue / Hardwicke Road crossings, as likely to make this significantly more inviting to cycling. Similarly, the widening of the more obvious crossing is also a welcome change which we think will make a real difference to people cycling in the area. RCC represents London Cycling Campaign members and over a thousand supporters in the borough. We campaign for walking and cycling provision for everyone, so that these are transport modes available to all. With some minor exceptions we oppose the proposals for East Twickenham and will be urging TfL not to fund them. This is because the plans fail to provide meaningful improvements for walking and cycling, in defiance of both council and Mayor of London policies which call for support for active travel. 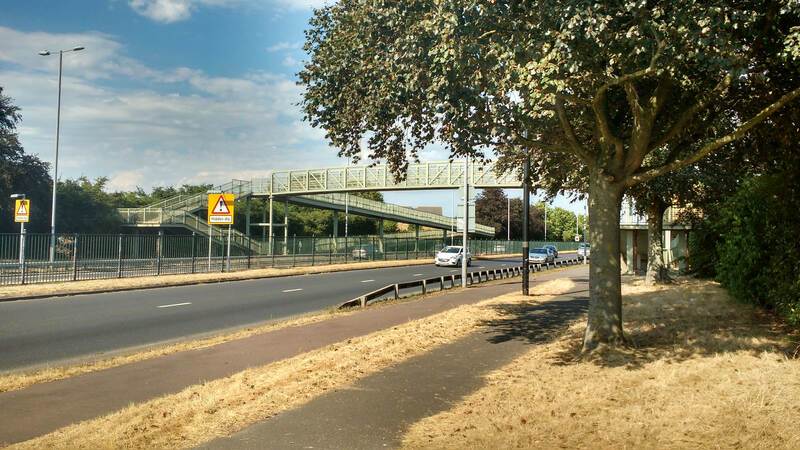 The section of Richmond Road involved in this consultation will soon be home to a primary school of over 450 children, It also provides a route currently busy with cycling, and identified in the Mayor’s Transport Strategy as a key corridor for improving cycling. Despite fairly high volumes of pedestrians – obviously likely to increase significantly with a new Lidl and new school, the plans offer little for either mode of transport. The road design in its proposed form has a poor general score (around 23/100) and multiple ‘critical fails’ using TfL’s ‘Cycling Level of Service Tool’. In continuing proposals for 1.5m (or less) cycle lanes the council is seeking to double down on useless designs installed in 2011 (see here).The design could also include ‘Copenhagen style’ side crossings as used in Waltham Forest and other boroughs, to prioritise walking and cycling, and should have better designs at the end of Richmond Road – removing cyclist/pedestrian conflict rather than maximising it. 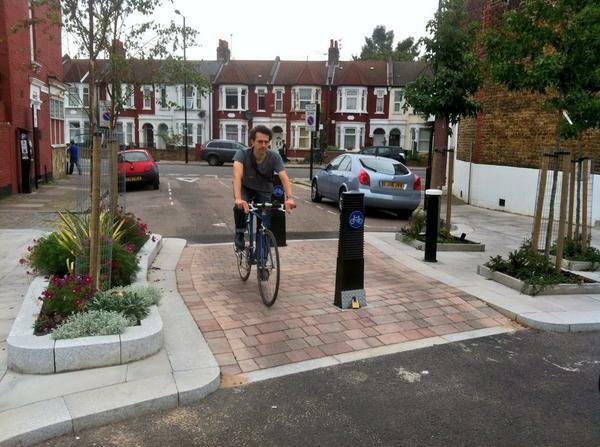 We think this scheme should also be the subject of a Healthy Streets analysis (see the toolkit here): it is our suspicion that the road already scores poorly, and that the changes in this scheme will only result in marginal improvements. The design includes a total of seven new car parking spaces, with no justification provided for why these are more important than walking and cycling provision. The pedestrian crossing on Richmond Road appears to have no traffic light or pedestrian control on one side, and requires pedestrians to cross in two movements, whereas vehicles only require a single movement at any part of the junction. 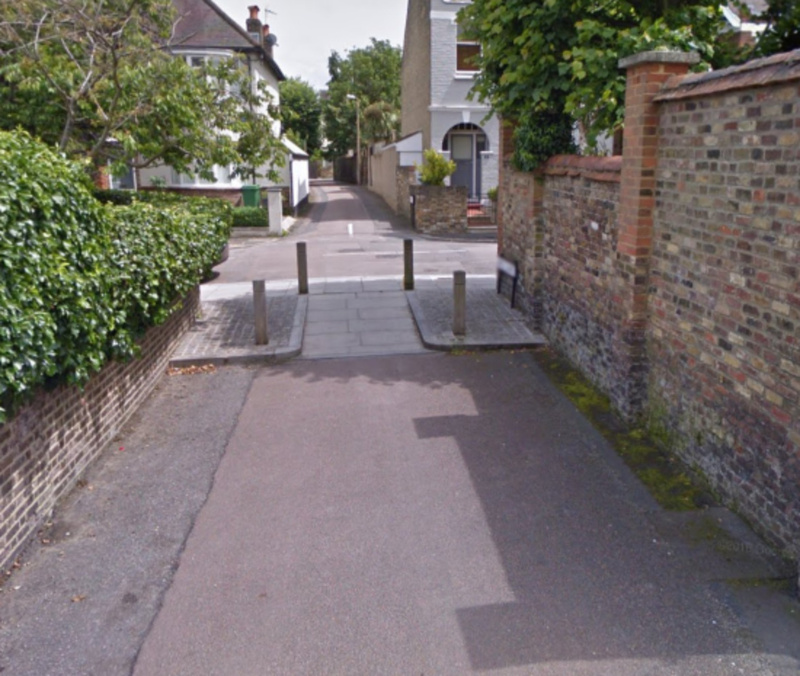 The left turn from Richmond Road towards Twickenham unaccountably includes shared space markings for part of the area, with no explanation as to what route is supported by this. On all parts of this design, cycling has no priority with the sole exception of the short contraflow lane from Rosslyn Road. Failure to provide priority will ensure that cycling will continue to be unpleasant in this area, and the TfL proposed route from the Mayor’s Transport Strategy is unlikely to come to fruition. No explanation is provided as to why this area is being looked at or consulted on: is there a wider strategy it will feed into? This is the text of our response to the Twickenham Riverside planning application. Please take a moment to pop down the sherry and add your opposition! You can make your comment on the planning website. Twickenham Area Action Plan 2013 (‘TAAP’) sets out LBRUT’s policy framework for the site. TAAP includes a principle to improve the pedestrian environment and reduce dominance of parked and moving traffic (7.5.2.3). TAAP states that the whole area should be changed in a comprehensive way, and that each phase must take account of the overall future layout (7.5.5.5). TAAP aims to improve the environment of the Embankment including reduction in car parking (7.5.5.2). LBRUT’s Core Strategy 2009 includes spatial policy CP9 which aims to revitalise Twickenham Town Centre, creating a high-quality district centre serving residents, workers and visitors, founded on the principles of sustainability. Transport considerations include improving pedestrian and cycle links to and from the centre, and improving traffic management to manage flows and reduce dominance of vehicles on the town centre environment. 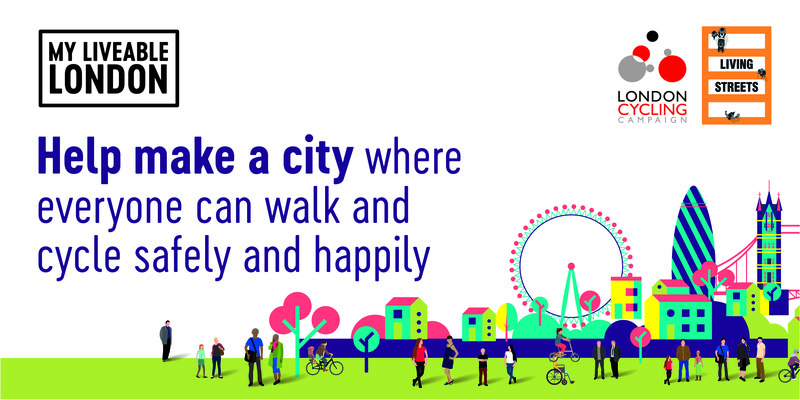 The London Plan 2016, published by the Mayor’s Office, states that London should be ‘a city where it is easy, safe and convenient for everyone to access jobs, opportunities and facilities with an efficient and effective transport system which actively encourages more walking and cycling and makes better use of the Thames’. The Plan encourages patterns of development that (1) reduce the need to travel especially by car, (2) improve the capacity and accessibility of sustainable travel modes such as public transport, walking and cycling, and (3) encourage shifts to more sustainable forms of transport. The National Planning Policy Framework 2012, (‘NPPF’) seeks to ensure that the transport system is balanced in favour of sustainable transport modes. Developments should be located and designed to give priority to pedestrian and cycle movements, and should create safe and secure layouts which minimise conflicts between traffic and cyclists or pedestrians. The application is not a comprehensive plan as required by TAAP. The site borders Water Lane and the Embankment, yet the plans do not consider any of the improvements of these thoroughfares anticipated by TAAP, for example reduced car parking along the water-front. The application’s car parking will increase traffic on the Embankment in contravention of TAAP. The application encourages cars by excessive provision of car parking. Increased parking will increase the dominance of cars in the town centre environment in contravention of the Core Strategy. The application offers no improvement to cycling between the riverside and King Street, a requirement of the Core Strategy. 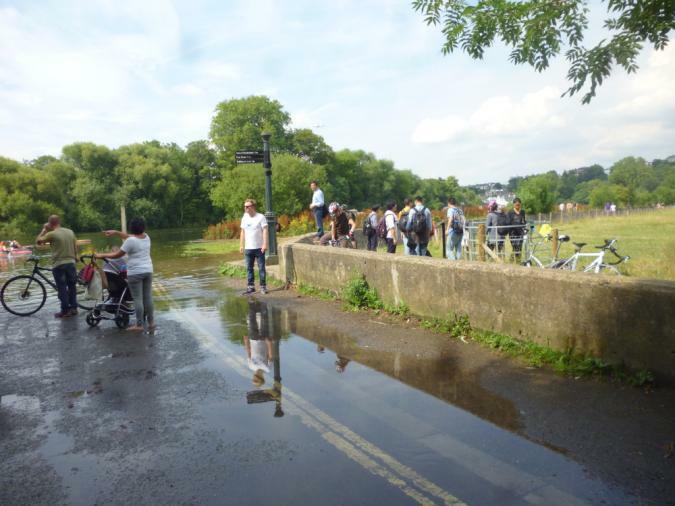 The application fails the requirements of the Local Plan in not considering the riverside cycle route to Richmond or between the riverside and King Street which would have provided permeability to the site. 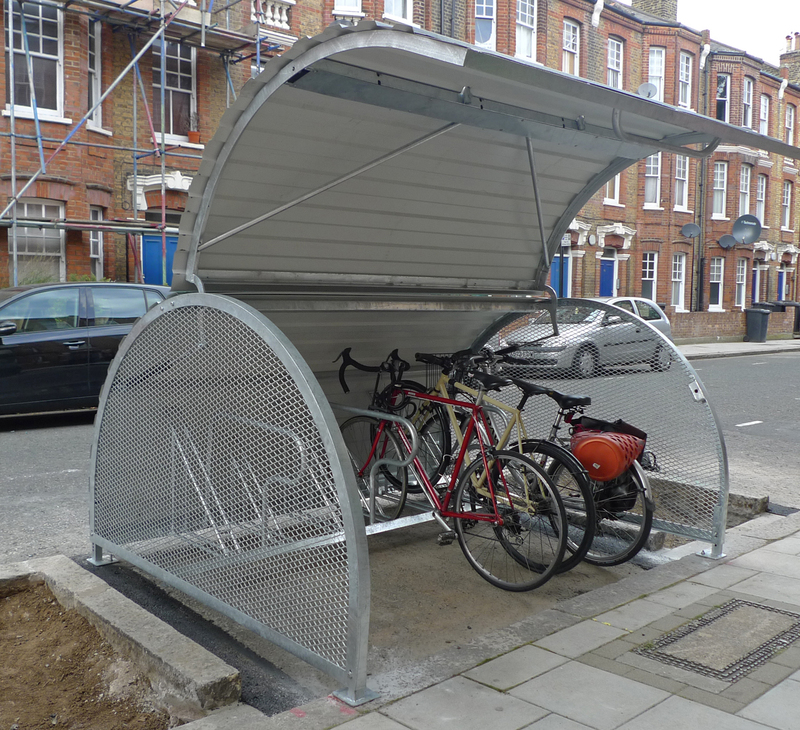 The provision of cycle spaces at the rear of the basement does not encourage cycling as required by the London Plan as there is no improvement of cycling infrastructure in the immediate area; notably no northbound cycling on Water Lane to link with King Street. The application does nothing to reduce car travel, a requirement of the London Plan and HSL. The application does not improve the on-street experience or create a space where walkers and cyclists are free from manoeuvring cars. 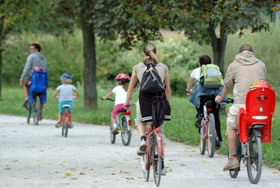 The application gives no priority to cycle movements as required by NPPF. 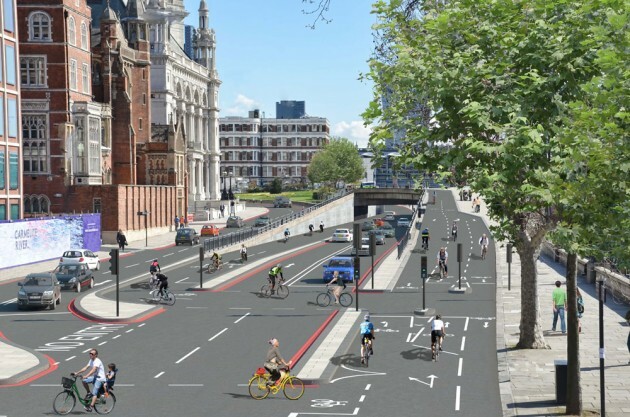 The car parking spaces within the development and the access via the Embankment will lead to increased conflict between pedestrians and cyclists on the one hand and traffic on the other, in contravention of NPPF.